Jesus was lucky, he only had to be crucified once. Mary Magdalene, on the other hand, was crucified more times than we could ever count. She was crucified first for being born a woman. She was crucified again by whatever it was in her life that caused her to need to be healed of “seven demons.” She was crucified as she walked with her Beloved to his death and then watched as he was nailed to the cross and as he suffered the agonizing death by crucifixion. She was crucified again when she and her companions took Jesus’ bleeding, broken and beaten body off the cross and laid it in the tomb. She was crucified again as the stone was rolled over the opening of the tomb and she said her final goodbyes. Again she was crucified when Jesus appeared to her on Easter morning and then just as quickly disappeared from her sight. Again as she went to tell the male disciples and they did not believe her. Again and again and again as Jesus appeared to her in prayer imparting secret teachings and every time disappearing from her sight. Again as she was asked by the male disciples to share what Jesus had taught her and who then rejected her teachings along with the love Jesus had for her. Again as she was apparently no longer welcome by the Jerusalem community of disciples and left to fend for herself. Again and again and again as she made her way in the world carrying the burden of all these crucifixions in her heart, along with the new and fresh crucifixions everytime her mission of love was rejected. And then…..the millions of countless crucifixions that have happened since her death anytime an individual or the Church ignored her role in Jesus’ life and ministry, denied the calling Jesus gave to her, rejected her as prostitute, adulterous woman or whore, demoted the important initiatory process (healed of seven demons) she underwent as demonic possession, denied women’s rightful and necessary place within the mission of love, etc. etc. etc. etc. etc. The list is endless. This is the Magdalene Wound and one that is carried in some degree by all women being called forth to resurrect the Magdalene and reclaim her rightful place in the mission of love by taking on this mission ourselves. As one who bears this wound, I must tell you that it is excruciating. It is a burden I would not wish on another, and yet I know literally hundreds of women who share this burden with me on behalf of the Magdalene (with many not knowing or understanding the source of this excruciating pain) and who continue to feel the pain of crucifixion everytime the world cries out for the lost feminine. The Magdalene Wound is known by a longing that cannot be quenched. It is a pain that has no relief. It is the feeling of constantly beating one’s head against the wall seemingly getting nowhere. It is the pain of constant rejection. Of speaking and sharing truth and seeing it fall on deaf ears. It is the painful longing of missing our beloved and finding nothing to take its place. It is the knowledge of having been loved beyond measure, of being held in rapt adoration and worshipped for our gifts…and then having that love torn from our grasp. It is the pain of knowing that literally millions of women throughout history have been subject to rejection, abuse, even killed simply because they were born a woman in a world where the masculine rules….knowing that at one time in the history of patriarchal culture, there was ONE MAN who honored women as equal, elevating them to positions equal with their male counterparts and who called all of humanity to do the same…and that the first action taken by those who had the opportunity to fulfill this man’s vision was to sell out the women in favor of the presiding cultural norm….and that this single act has kept women subservient for 2000+ years! It is the constant and enduring pain of a world that is suffering and feeling the blows of this suffering in our own bodies, hearing the cries with our own ears, seeing it with our own eyes and knowing we possess the remedy to this suffering if only….someone…..anyone….would care to ask. I can’t speak for others, but I know for myself, the Magdalene Wound makes me weary…a bone crushing, soul splitting weariness longing for the world to be made free. It is the same burden of truth that Jesus carried – a truth for which he was willing to die. This is the Magdalene Wound and I’m sad to say I’m not sure there is a remedy to this wound. It is the cross we have to bear as those who have been called to restore the Magdalene (and all women with her) to her rightful place in history and in our world. I’m not sure we will see the fulfillment of this resurrection in our lifetime, but there are signs of its happening and it is not just about the plethora of research, writings and books that have been accomplished on behalf of the Magdalene. It includes all ways in which women are finding their voice, speaking their truth and rediscovering their rightful place in world that 5000 years ago stole their power from them. 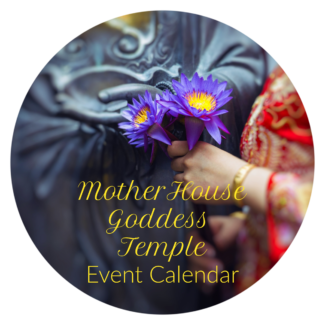 I am humbled and honored to be a part of this movement and grateful for the resources and tools that have come through me in support of the mission of love as Mary Magdalene had envisioned and embodied it. 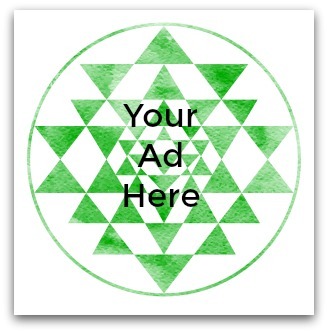 Lauri Ann Lumby, OM, MATS is an author, teacher, priestess, healer and prophet. She is the author of the highly-anticipated, Song of the Beloved – the Gospel According to Mary Magdalene and Authentic Freedom, both of which reveal the hidden teachings of Jesus as revealed through his most devoted student, co-equal minister and beloved partner, Mary Magdalene. 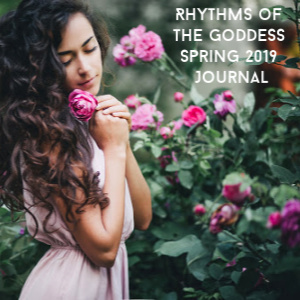 For over twenty years, Lauri has researched, studied and put into practice these hidden teachings of the Judeo-Christian tradition and discovered within them rich and effective tools for facilitating self-awareness and self-actualization. These teachings and practices prove that beyond the doctrine resides the truth that unites all people – the truth of Oneness in Love. 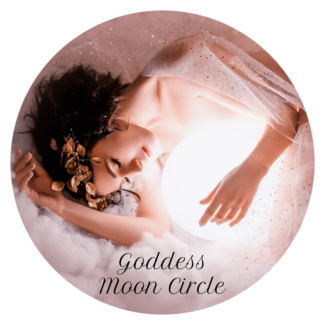 As a priestess of the Magdalene/Christ, Lauri shares these teachings through her on-line and local courses, one-on-one mentoring, writing and publishing. 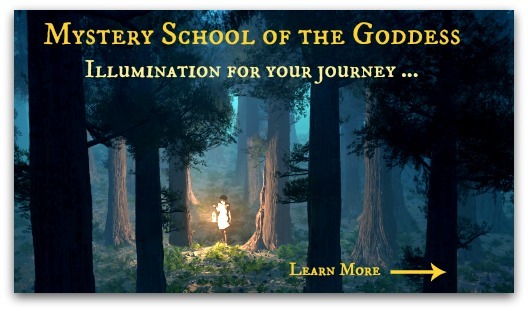 Lauri is the owner of Authentic Freedom Academy and founder of the Temple of the Magdalene. She lives in Oshkosh, WI. 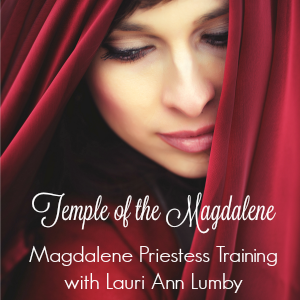 You can learn more about Lauri, her writings, programs and services at https://templeofthemagdalene.com/. This day, I have read your heart-piercing article countless times. For me, this day, I am moved to a quiet place of prayer and reflection because of these poignant words of yours. A catharsis, yes, for all catharsis should carry within its purging tears, a release … yet, your words so beautifully portrayed the agony of the Magdalene, and how her suffering, rejection, and abuse becomes an emblem, a continuing crucifixion for so many women today. This catharsis is not a closure, an ending. For me, it must begin anew with a simple question: In this the Universe I live, how, in what way, today, can I help to mend and tend to this wound? 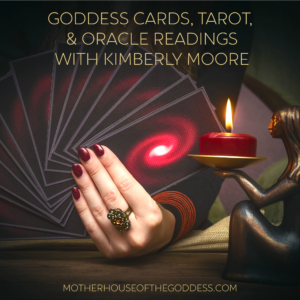 So yes, quiet, prayerful – in awe of the plight that continues for women; and I more convinced than ever to shine the armor of kindness and example – and work in my own small way to change this and ask the Universe to help me do this in any way I can. So, catharsis finds its way in tears … and a thank you, to you, Lauri Ann Lumby. All my life, Mary Magdalene has been my guiding goddess – my source of so many prayers … for women, for men, for kindness, and for me to be a better man, a more loving, compassionate human being; she is ever-present in my soul. But your writing (so necessary and painfully eloquent) … expressed in word what I felt in heart – what I could not compose, but so deeply felt …and there is a word for it: alexithymia: the inability to describe emotions in a verbal manner. I so wish I could speak with you, no listen to you first, and then share my journey as a man who has sadly witnessed the Magdalene wound everywhere in this world … (for now I will do my best to read you, all of you I can find). I am deeply grateful for your mission, your vision, your passion. I am so glad you are here – blessings to you and thank you! Thank you. I have responded privately via email. Thank you!